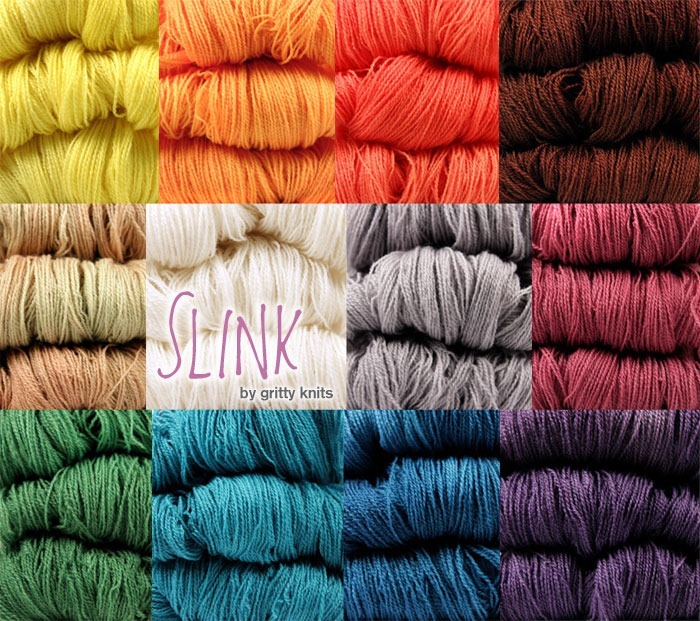 Due to a bad case of impatience, I refuse to wait until my December 1 update to introduce the first of two new yarns to the Gritty Knits line: Behold SLINK! I don’t know if I will have internet access at the fairgrounds, but I will try to keep the shop’s inventory updated as much as possible as items sell out. All orders placed this weekend will ship out on Monday when I get home.